Harrison French (Davis) accidentally runs over and kills a pedestrian on his way home from a party. 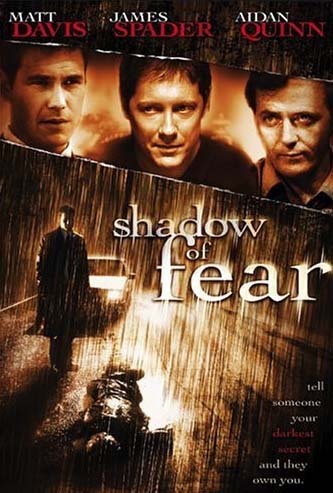 In his attempt to cover it up, he is offered help from a powerful attorney (Spader), a kind of fixer who has influence with almost everybody in town. What French doesn't know is that the fixer's help comes with a price. Events spiral into a sordid and dangerous game and he becomes embroiled in a rich man's world of blackmail, betrayal, adultery and murder. Shooting began in Spokane during the second week in July 2003 and wrapped up on August 9. Cast members stayed at the Davenport Hotel. 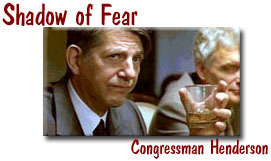 Director Rich Cowan: "Peter Coyote will give you a great performance every take - and something a little different each time." 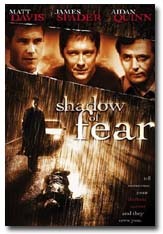 Shadow of Fear (previously called Mainline) is the second film Cowan has directed (The Basket was the first) and the 16th film produced by the Spokane company. The genesis of the film began with a screenplay that was purchased by Two Sticks Productions in Los Angeles. The executive producers (that is, "the money") then chose North by Northwest to actually shoot it. Films of this size (with a budget of a little more than $2 million) have a way of bypassing a theatrical release and going straight to video. Rich Cowan comments: "Well, it's hard to say. The financiers have a deal with Sony and some of these movies go to the theaters, and some go straight to video and television, but they typically don't make that evaluation until the movie is complete. We shoot for theatrical. However, most of the films in this range do not go to the theaters. It takes another $10 million to $15 million just to release the movie. Usually they'll only invest in a movie that has a higher budget. But you never know."